Emily is studying Mathematical Statistics with minors in Accounting and Philosophy at UC San Diego. She initially got interested in investment when she joined the student-run endowment fund on campus. This summer, she also worked for a middle market private equity advisory firm and advised alongside a MLP infrastructure fund with $2B in committed capital. Now she is passionate about using equity investing as tool to identify disruptive products in order to generate net gains for investors and the society. As a math major, Emily likes to interpret different stories behind the numbers and to use those to strategically help businesses operate better. 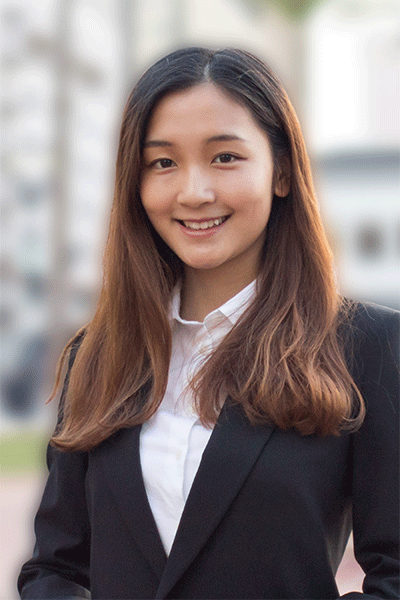 During her time in UGF, she has worked on deals in different sectors including on-demand delivery, VR/AR, enterprise software, B2B and e-commerce consumer product. Emily likes to dance (Chinese traditional, Ballroom, and Hip-Hop) and run marathons. She is a certified yoga coach in Asia. She also likes to travel and has been to 11 countries across 5 continents.